Quality Service and Results - Committed to Client Satisfaction ‘Honesty, transparency, empathy and total professionalism matched with the best sale price through superior negotiation’. That’s Bobby & Rupa Sapra’s pledge to every single one of their clients. A long career in sales, in conjunction with personal experience selling and buying their own properties has instilled in them the knowledge that delivering an expert level of service will achieve a result which is above and beyond their clients’ expectations. This is the fundamental element in a successful Real Estate transaction. Bringing this knowledge to all business dealings means Bobby & Rupa’s clients are assured they are in expert hands. Bobby started his career as a successful real estate consultant in 2002. In 2003 he married Rupa who joined him in the business. Together they make a super successful team! After their long career as Sales and Marketing specialists, they ventured into opening their own Real Estate office in 2008. Together they now run an extremely successful business and have many clients who would testify to their professional approach. When it comes to marketing your home it is always good to know there is an experienced and well known face out there taking a genuine interest in you and your property. 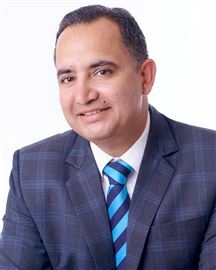 David has excelled in Real Estate for over 25 years with his consultative approach and straight talking manner winning favour with past and present clients. Over the years David has developed a reputation where much of his business is by referral from people that have enjoyed an easy smooth Real Estate process as a result of proven methods. David prides himself on a very high success rate from listing to sell. David qualified as a Branch Manager in 1995 and has been involved with Harcourts in a management position but still remaining in touch with the market as a selling manager. 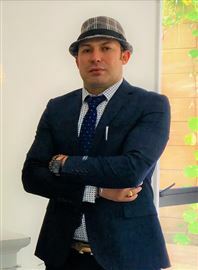 In 2003 David was accredited with the coveted AREINZ status from the Real Estate Institute of NZ and in 2006 graduated from Massey University in Business Studies and continues study to keep pace with the everchanging needs of a modern market. In 2013 David expanded his talents to include Auctioneering and has proven to be very effective in this role as well. David works alongside his Realtor wife Lydia who after graduating in the top 3 of her Masters year at Zhongshan university in China, went on to a 20 year career in journalism. Those crossover skills setting her up to excel in a Real Estate environment. David & Lydia's unique skills combine to offer sellers and buyers alike a complete service from a dedicated husband and wife team. They cover the wider Central / West area. For any Real Estate transaction call David and Lydia first. Quality Service and Results - Committed to Client Satisfaction ‘Honesty, transparency, empathy and total professionalism matched with the best sale price through superior negotiation’. That’s Bobby & Rupa Sapra’s pledge to every single one of their clients. A long career in sales, in conjunction with personal experience selling and buying their own properties has instilled in their knowledge that delivering an expert level of service will achieve a result which is above and beyond their clients’ expectations. This is the fundamental element in a successful Real Estate transaction. Bringing this knowledge to all business dealings means Bobby & Rupa’s clients are assured they are in expert hands. Bobby started his career as being a successful Real Estate agent in 2002. In 2003 he married Rupa who joined him in the business. Together they set to make a super successful team! After their long career as Sales and Marketing specialists, they ventured into opening their own Real Estate office in 2008. Together they now run an extremely successful business and they have number of clients who would testify on their professional approach towards any Real Estate Transaction. Albert had held managerial roles at the Hongkong & Shanghai Banking Corporation (HSBC) in Malaysia where for a period of time he was also the Chief Foreign Exchange Dealer. He later joined Visa Finance Ltd as the Regional Manager in charge of 16 branches and concurrently headed the Treasury Department. He relocated together with his family to New Zealand in 1988 and has been in sales ever since, the last 9 years in Real Estate. 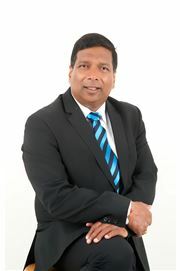 Having always lived in Waitakere City, Albert has acquired an in depth knowledge of the local property market. 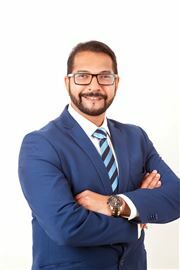 He is now utilising his extensive experience in finance and banking and good working legal knowledge relating to property and mortgage, in the real estate industry. Albert prides himself in delivering service with the utmost professionalism and highest level of integrity. While English is Albert's first language, he is also proficient in Cantonese and Hokkien and some conversational Mandarin. Contact Albert today for an obligation free enquiry on listing/purchase of properties. What’s different about Alex Aftaab as your agent? Knowledge: I stay ahead of trends, tools and topics in the real estate industry through my access to the Harcourts Academy. The comprehensive industry-leading training curriculum prepared me to serve you at the highest level. Teamwork: Harcourts New Lynn rewards sales consultants for working together. At our core, we believe that we are all more successful if we strive towards a common goal, rather than our individual interests. And, that goal is to serve you, our client, at the highest level possible. Reliability: I have founded my business on the principles of trust and honesty, emphasizing the importance of having the integrity to do the right thing and always putting your needs first. I realize that my success is ultimately determined by the legacy I leave with each client I serve. Speed: Leading-edge technology solutions accelerate my efficiency and productivity. Call Alex now for an obligation free chat about your real estate needs! Andrew Pigg enjoys an enviable reputation for combining a relaxed, confident and stress free approach to providing an unmatched level of ethical service to his clients real estate needs. With several decades of high level business experience to his name, both locally and internationally, Andrew understands the dynamics of creating ‘customers for life’, including high levels of communication, strong marketing and negotiation skills and an empathy for his clients emotions as he helps them navigate their way through what can be one of the most stressful experiences in life…….buying and selling a home. Now well established in the real estate market, Andrew stands ready to provide you with the benefit of his accumulated years of experience. Remember, it doesn’t cost any more to engage the services of a top agent than a mediocre one, so call Andrew now to discuss your needs! "REAL ESTATE IS MY PASSION" Communication is the key to success in this business and Ashok has certainly proved that over the years. 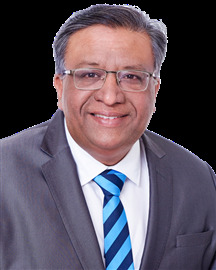 Ashok is friendly, honest, humble and reliable and will always go that extra mile to help people with his patience and ability to work with clients help to achieve their goals. If you are looking for a committed agent with success in both his career and personal life, an ability to achieve the highest results for his clients, and who has strong work ethics…. choose to market your property through Ashok. 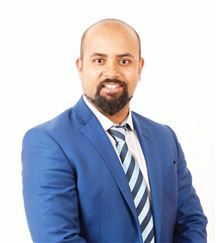 “You can be assured that he will provide you with a dedicated service and will be supported by one of the strongest teams locally, nationally and globally.” In the past, he has assisted hundreds of happy and satisfied homeowners to realise their dreams. Why look for someone else when you can be part of Ashok’s success”. Ben believes that building a customers trust is crucial when dealing with clients. Ben's years of experience within his family business in China taught him that creating outstanding customer relationships through quality service was critical for long term business success. Ben has brought this approach into the Real Estate industry and has proven to be a winner. With his personal knowledge of property development & investment properties, Ben should be your first call for all Real Estate matters. Your professional Real Estate Guy… At your service. Many years working as dean of student management, university lecturer of English language, tour guide and salesperson has given Ian a solid background in management, communication and people skills along with the initiative, drive, strong sense of dedication and professionalism to succeed. Over the years of working experience in the real estate industry, Ian has learnt and believes in the value of superior customer service and has always been going the extra mile in whatever he has been involved. His philosophy is to ensure that customers are always treated with thoughtfulness and respect. Attracted to a career in real estate because of his passion for people and property, Ian now draws on his skills, experience, humour and sincerity to ease his clients through the selling and buying process to reach a positive outcome. Once you have chosen Ian to work with, he will endeavour to make the process transparent in an honest, open, professional way and enjoyable ! Already with several years of experience in the residential side of the business, Jesse has a proven record of satisfied customers and his career is really on the move - just like his plan is for you... A high energy consultant who pays strict attention to details, Jesse is one of the new breed of Real Estate professionals who knows and understands the true benefit of quality marketing to achieve that extra special result for his vendors. Jesse brings to the role a solid background of business ownership in the hospitality sector and enthusiastically throws himself into each and every challenge. 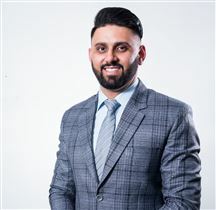 A great listener + A strong work ethic = An easy decision Choose Jesse Singh to manage your next Real Estate move. A great listener + A strong work ethic = An easy decision Choose Jesse Singh to manage your next Real Estate move. 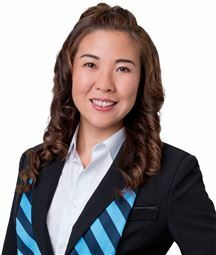 Lydia Chen has taken the Real Estate world by storm and over the last 10 years alongside her realtor husband David, amassed a large collection of Harcourts Monthly and Quarterly Awards including many Platinum Awards, Harcourts highest honour. After securing a Master of Literature Degree, Lydia entered the journalism field in 1989 specialising in arts and culture reporting. Promoted to the role of senior editor, Lydia wrote many reports and commentary for the Chinese Government via radio, TV and Academic journals in the area of media, management and audience research. Lydia gained numerous government awards and prizes and has written 2 books focusing on the topics of child development and personal development with 2nd edition reprints in 1995. Being fluent in Cantonese and Mandarin coupled with the literary skills Lydia possesses, Real Estate is an ideal avenue to utilise her advertising, media and communication abilities in our rapidly growing Chinese buyer market. Lydia's vendor clients love the enthusiasm and combination of skills that she possesses and is able to offer genuine ‘added value’ to the selling process. Buyer customers also love her tenacity and never give up attitude in finding them that 'just right' home. With a success rate of unconditional sales, Auctions sales and getting Listings sold far in excess of the industry average, why would you not entrust Lydia Chen with your most valuable asset. Buying or selling property in the wider Central / West Auckland area - call Lydia first. My experience has always been based around people. Before I migrated to New Zealand from Morocco with my family I had a top-end textile shop; I’ve always loved beautiful things and have an eye for detail. When I arrived in this beautiful country I started working in hospitality as a chef and I loved it. I love it when people compliment me and are satisfied with my hard work. I value a lot of things in life, some of those being people, relationships, honesty and integrity. I’m passionate about helping people and making sure I work with them to achieve the result they want whether it be buying or selling a property. I listen patiently and seek to understand my client before making any recommendations or suggestions on how they may want to approach their property dreams. You can count on me to be honest, trustworthy, diligent and transparent at all times. Not everyone knows exactly what they want when it comes to property, sometimes you just simply need someone to guide you and to help you reach your final goal. I will share my knowledge about the property market with you when we meet. My approach is based around listening carefully to people's needs and working around their timetable and budget. It’s not just about selling. Everyone is different so you have to remember and respect that. I believe being able to speak three languages, English, Arabic, and Indonesian Bahasa is a huge advantage to me and to my clients. If you are considering making changes and buying or selling a property, or if you are just interested in discussing the property market in general don’t hesitate to pick up the phone or come in and see me in the office. As someone who has primarily worked in Hospitality Business, I have always been drawn to people. My approach is affable, easy and open. After spending the last year working in sales, I have found my strength lie in helping people achieve the best of what they need. I am totally customer focused, and believe that an honest and friendly relationship with clients is the kind of best relationship. I also believe that trust is the key to success, and by trusting in me, you are guaranteed success. Peng is one of our most experienced agents with 17 years of sales experience under his belt. He has carved a niche in the large lot, development blocks and rural community and shown to be a very effective seller and marketer of high value estate type properties. If you have a special property, Peng’s tenacity and contact base will achieve you a top result…he is the man in the know. Since joining the real estate industry in July 2005, Rajeev Goyal has committed to making the sale and purchase of property a memorable experience. He takes great pride in his ability to make a positive contribution to his client’s lives by assisting them during one of the most important financial decisions they will ever make. Rajeev is qualified with a Bachelor of Commerce (Hons) from the Delhi University and a Post Graduate Diploma in Business Management. After completing his studies he went on to work in the Airline industry. Rajeev sets very high standards for customer service and maintains a high level of integrity throughout the sale and purchase process. He is a strong advocate for selling by auction having seen first-hand many times how effective they are. Being someone of high moral values, Rajeev is exceptionally proud of his two children. He loves living in West Auckland, with its clean, green image, friendly people, great schools, shopping areas and plenty of affordable houses. You can rely on Rajeev to guide you with honesty and professionalism through your next real estate move. Call him today. Shing is an honest, kind, modest and hardworking Sales Consultant who is always happy to be of service. He believes that gaining a customer’s trust is his biggest responsibility, so he will always ‘go the extra mile’ to provide service to the best of his ability. 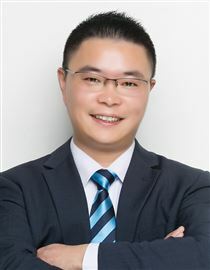 With a family background in the construction industry Shing is very comfortable discussing property related matters and especially enjoys assisting first home buyers attain their dream of home ownership. Equally when working with Vendors, Shing can be relied upon to identify and promote that special part of a home that differentiates it from the rest. So what are you waiting for? Contact Shing to buy or sell today! 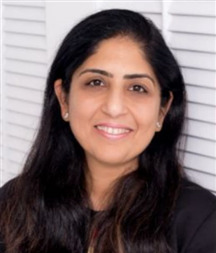 Sumi brings the freshness, enthusiasm and duty of care to negotiate the contracts, to support the clients and understand the issues in order to achieve the desired outcomes. Sumi believes in putting people first and doing things right every single time by paying attention to all details, analysing the issues, supplying all needed information and just by being there all through the time. 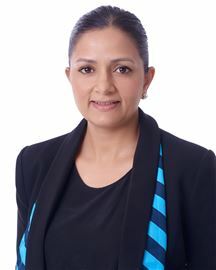 Her personal convictions align well with the values of Shelter Realty team (Harcourts) which is very successful in Central/West Auckland with four branches. Being a New Zealand trained and registered teacher, Sumi has many wonderful years’ experience of teaching both adults and young children in different Schools in Auckland. As a teacher she was passionate to add value and make a difference in children's lives and she transfers the same skills to real estate while relating to people and be empathetic to their needs. Sumi believes in transparency in her dealings and works hard to earn the trust of her clients in all her dealings. A career in Real Estate became a natural choice following 20 years working in the finance sector. I was attracted to the industry because of my high standards and desire to achieve. I joined Harcourts as I respect their commitment to integrity and honesty. My career in foreign exchange and banking has provided me with many valuable skills, which I am able to use when helping my clients achieve the best possible outcomes for them. I am known for my ability to find practical solutions and for my negotiating skills. I deliver a high standard of service to all my clients and customers, as these are the standards I would expect myself. One of my main goals is to be on Harcourts exceptional achiever list – I will do this with hard work, and rest assured I will always give you my very best. 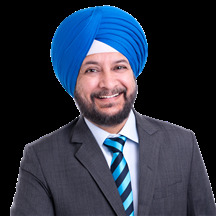 I speak three languages – English, Hindi and Punjabi – and I enjoy working with people from different cultures. I moved here from overseas over eleven years ago with my wonderful wife and son. We have made the right decision to settle in this beautiful country. I believe that buying and selling property should be an experience that you will enjoy. I have a driven nature and my high level of commitment will help you achieve your desired results. Contact me NOW for a free no obligation chat about your real estate needs. We work hard to achieve the best result for you! Your property is one of the most valuable assets, and often it involves many years of your hard work. Our commitment to you is with high ethical standards, honesty and transparency throughout all dealing process. Tina completed Massey University Accountancy Degree and National Certificate in Real Estate Salesperson papers. She has built up a sound of knowledge in Real Estate Regulations and Contract laws. Before move to New Zealand she was a Registered Nurse worked in China for 10 years. Tina will bring all her knowledge, experience and skill to you. Tina has married to her husband for 14 years with one son. We work closely as a team in Harcourts, we are aiming the best possible result for you during the property transaction. Take time to invite Tina to you home when you are preparing your next move and meet them for yourself. Integrity + professionalism + understanding + excellent service - your satisfaction guaranteed!! Coming from the hospitality and marketing background, Emily has fully utilized her knowledge and experience to provide professional service to the clients. Before joined Harcourts as a property manager, she was a letting agent at local. The knowledge and experience that she has gained from as a letting agent have greatly helped in her transformation into a property management role. Emily is fluent in both English and Chinese. 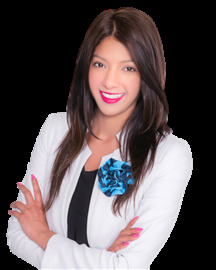 She understands the culture differences and Listens to our client’s needs very carefully. Our clients are always impressed by the excellent services and can-do attitude that Emily provides. With over two decades of real estate experience behind her, Jan Fleet innately understands the West Auckland rental property market and the dynamics which drive it. Long-associated with attaining outstanding outcomes for her loyal client base, Jan’s personal business motto is ‘to make it happen’ and, under the Harcourts banner, she continues to do just that. Jan’s no pressure approach endears her to both Landlords and Tenant, who appreciate her down-to-earth yet wise input into the sale process. Optimistic, friendly, confident and accessible, Jan prides herself on creating tangible, lasting working relationships with people across generational and cultural boundaries .With the well-resourced and leading-edge Harcourts network supporting her, Jan truly adds value to her clients’ property transactions. A sales and management background in the hospitality and banking sectors provided a robust client-service platform for Jan to build her property career upon. Her attention to detail and ability to see the wider picture has seen Jan prosper in the competitive real estate environment where successful agents are judged on results. Having lived and worked in West Auckland for much of her life, Jan has a sound grasp of property fundamentals in this evolving market where people from all walks of life choose to settle. Straight-talking with an ability to cut through jargon and streamline the management process, Jan works efficiently and professionally with her eye focused on exceeding her clients’ service expectations. Aided by Harcourts management and administrative team, Jan can concentrate on making a difference for her clients and allowing them to progress with their lives. Family-orientated with a good work-life balance, Jan says she aims to be the best she can be whether at work or play. 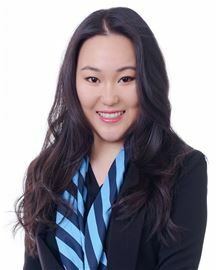 Ming Wei has been exceeding in the real estate industry since 2010, during the last 4 years Ming has gained both experience and qualifications in her specialist field of Property Management and also as a licensed sales consultant. With her career and expertise growing rapidly it was only natural that she be promoted to Business Development Manager. As Business Development Manager Ming is excited to be proactively networking to continue growing our existing rental portfolio while working with our current portfolio to ensure our business relationships are maintained. Ming says “The property market is at an all-time high and keeping up with everything that it is currently offering is what I am passionate about, I am here not only to continue growing our already expansive portfolio but to share my knowledge base to assist you with your asset goals” Ming is a customer service driven individual with a strong passion and vision for the Property Management Department. Old is Gold - Dig to Find!!! All This Plus A Studio Too! Home Owner Has Limited Time! Overseas Owner Moves On !!! Golf Road Home and Income!! Family Owned Since The 1940s! Great Family Home with Income! The One You Want to Own!! 723m2 Freehold! Must Be Sold! Take It Or Watch It Go!!! Urgent - Has To Be Sold!!! All Finished- Just Move In! Two Properties On One Title!!! Great Value! Too Good To Last! Urgent! Needs To Be Sold! No Plan 'B' Has To Sell! Spacious Brick & Tile Wonder! A Dream Home in Titirangi! The Cool One On The Block! Fruit & Veg Shop For Sale! A Quality Home You Deserve..
Prime Location Zoned Res. 7a! S.O.S - Seriously On Sale!!! Rental Galore or Large Family!